Alan Brill argues in his new book that Jews need to learn more about their own faith while encountering others. 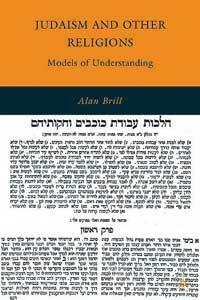 Teaneck resident Alan Brill’s new book, “Judaism and Other Religions: Models of Understanding” (Palgrave MacMillan), is a sort of post-tolerance manifesto for a post 9/11 world. The humanistic approach to tolerance in today’s Western world treats “the other” as secular without requiring any understanding of the other’s religion, argues Brill, an Orthodox rabbi, interfaith activist, and Cooperman/Ross endowed professor in honor of Sister Rose Thering at Seton Hall University in East Orange. Jews involved in interfaith dialogue since the 1970s have mostly come from the 1960s “universal, we’re-all-one perspective” that emphasized openness over exclusivism, says Brill. He felt that today’s realities called for a look at how classical Jewish sources could bring an old/new dimension to the discussion. For Jews, that “something to say” is found in our traditional texts, says Brill. Over the course of several years, he collected and examined biblical, rabbinic, medieval, and early modernist Jewish sources to extrapolate a Jewish theology of other religions. The questions he attempts to answer for readers are: If God is one, then what is the value of the other religions? Does God care only about one small people or does His plan include the wider world? How does one theologically account for the differences between religions? How do Jews think about other religions? How do we balance our multi-faith world with the Jewish texts? With its hefty list price of $85, the book is currently being acquired by libraries and universities around the world -including some in China, India, and Australia. Next year, it will come out in paperback for a wider audience, defined by Brill as “anybody interested in the Jewish attitudes toward other religions, from clergy to people who want to make Jewish sense of the stories they read in the papers.” To make it accessible to gentiles involved in interfaith encounter, the book’s Jewish concepts are all explained in clear terms.